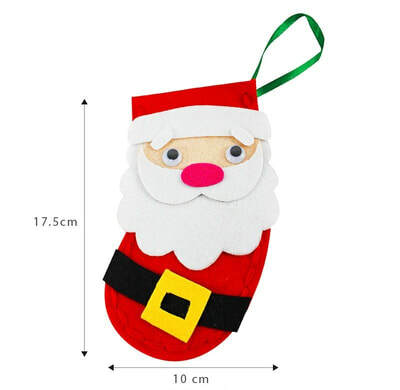 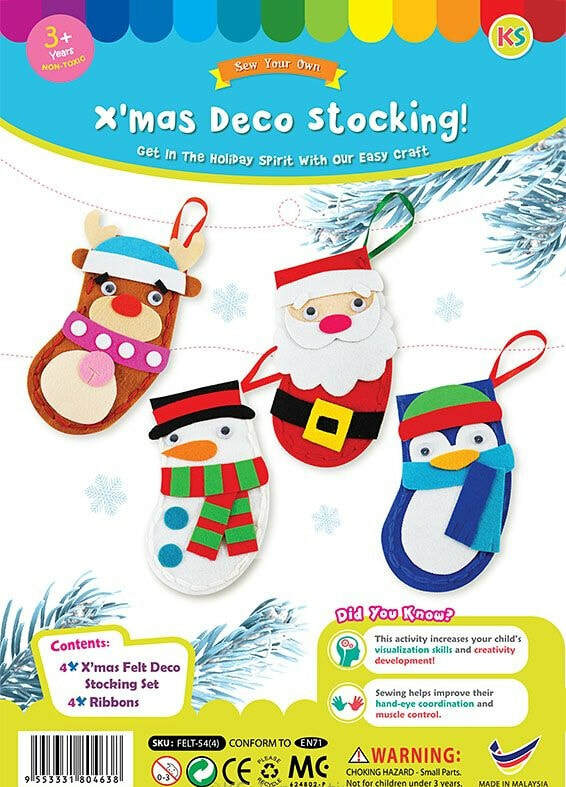 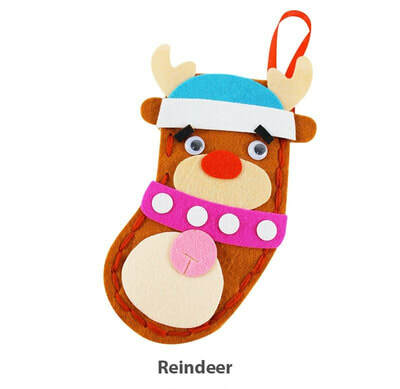 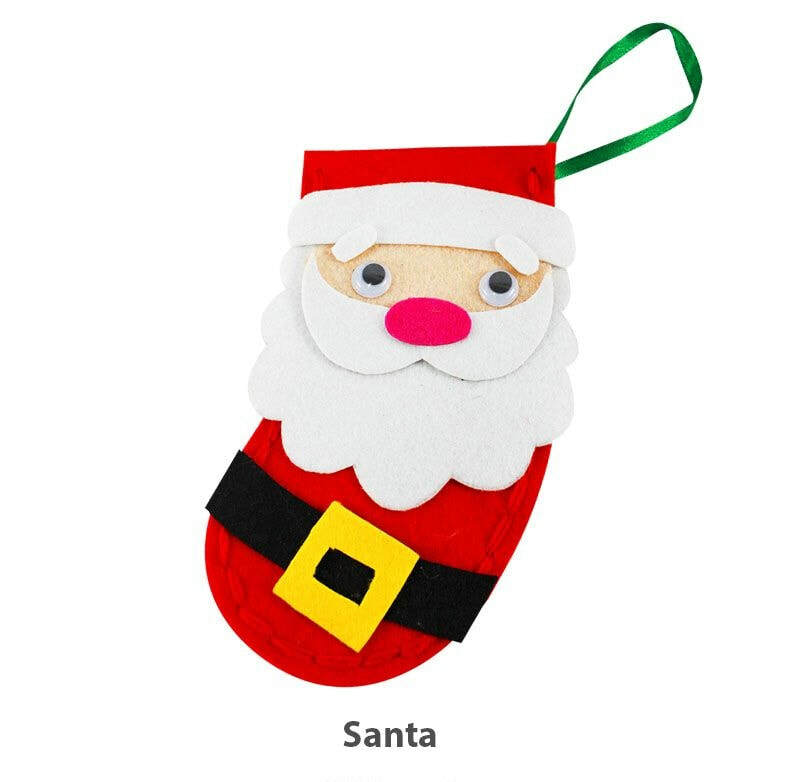 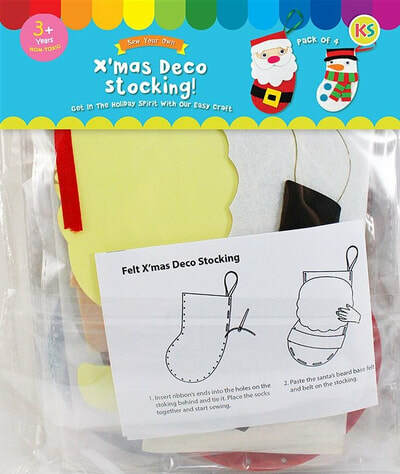 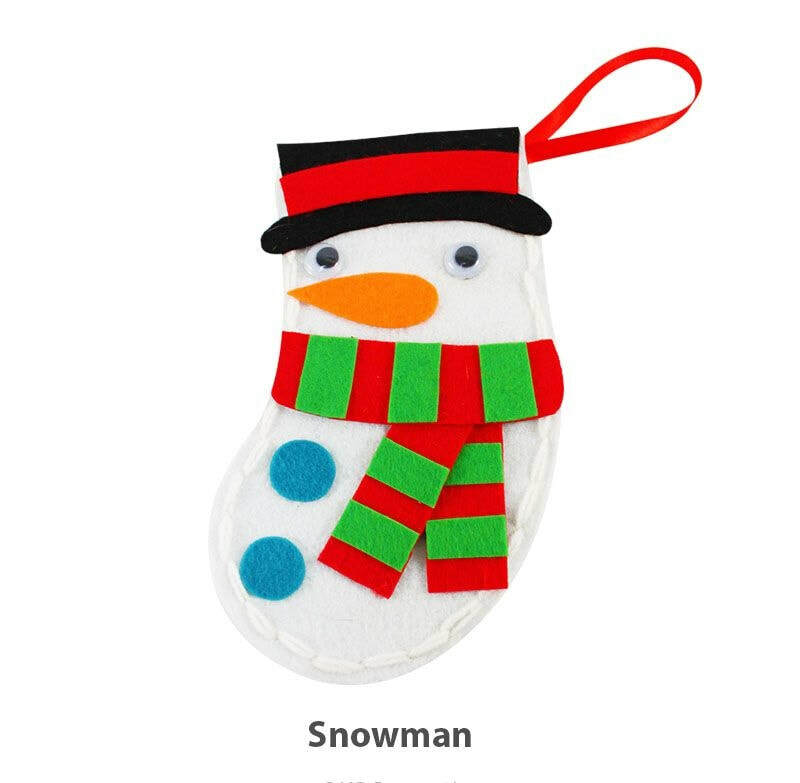 A set of 4 Christmas stocking characters - Santa Claus, Rudolph the Reindeer, Snowman and Penguin! You may slip a small gift inside too! 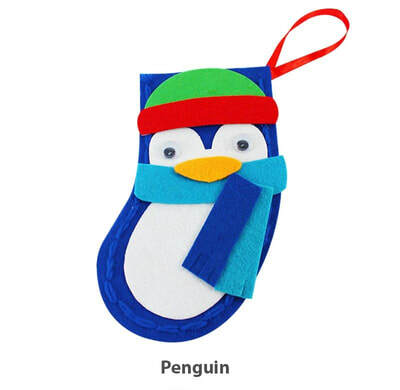 So let your little ones practice their sewing skills with these easy felt projects they are sure to love. 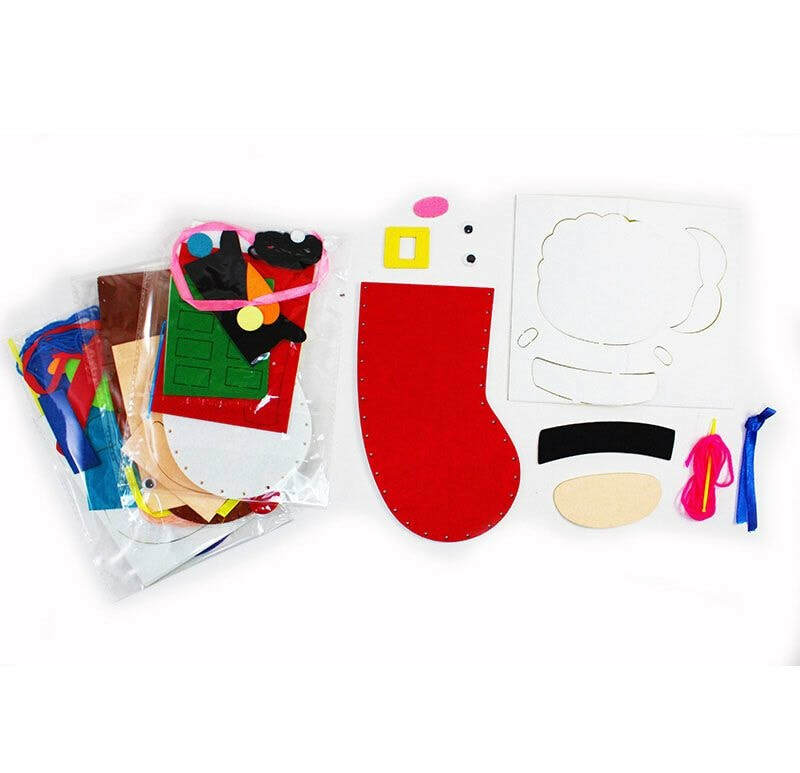 Comes with everything ready, start crafting today!